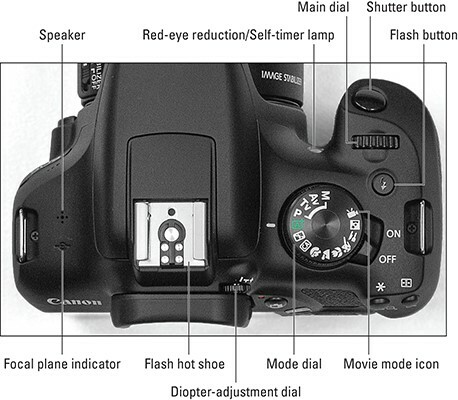 Your Canon T6/1300D camera has so many features that it can be difficult to remember what each control does. 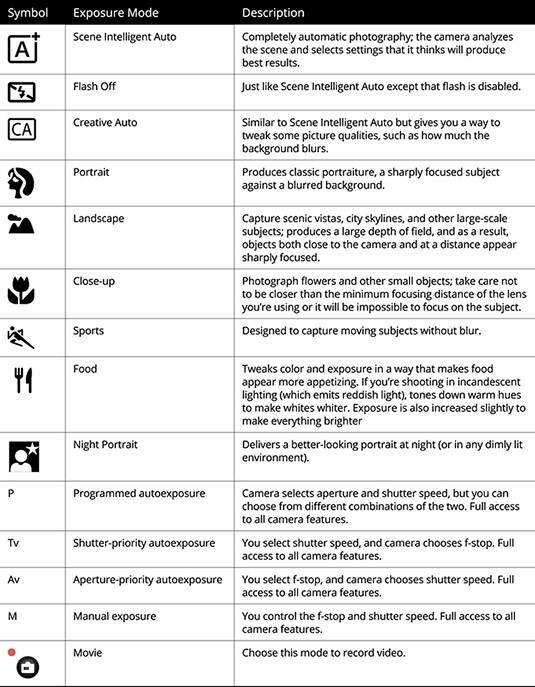 To help you sort things out, study this handy reference to your Canon camera’s external controls and exposure modes. Print out this guide, tuck it in your camera bag, and get a head start on taking great photographs! 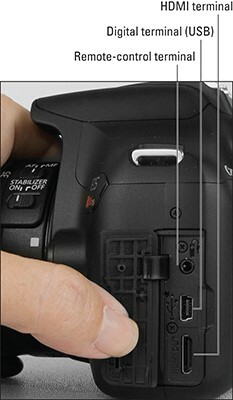 If you’re not familiar with the Canon T6/1300D camera, here’s a quick guide to its buttons, dials, and other external controls. The lens shown here is the 18–55mm kit lens; other lenses may have different features. 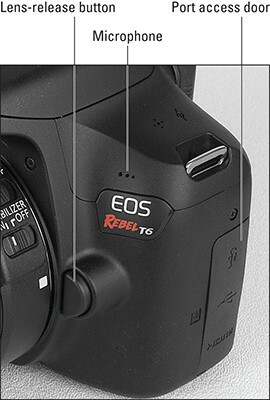 Your Canon EOS Rebel T6/1300D camera offers the following exposure modes, which you select via the Mode dial on top of the camera. 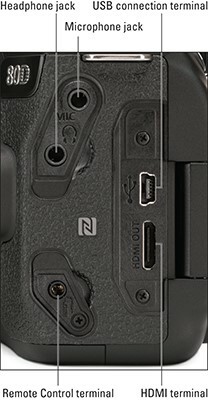 Only P, Tv, Av, and M modes provide access to all camera features. The other modes are automatic, point-and-shoot modes, but some do enable you to make small adjustments to exposure, color, and other photo characteristics.